Arguably, there is no single target or message for an effective and overarching campaign. Riders choose their mode of transport depending on their individual needs and cultural influences. This means that the message to be propagated differs considerably depending on the target audience. Generic warnings to ‘ride safely’ often fall onto deaf ears because the target audience does not recognise that they are intended for them. The Government’s “THINK” campaign provides an excellent opportunity to tie any local campaign into a nationally recognised approach. When identifying and analysing the potential target audience, it would be helpful to understand the broad yet distinct motivations, aspirations and perceptions of safety experienced by different rider groups. 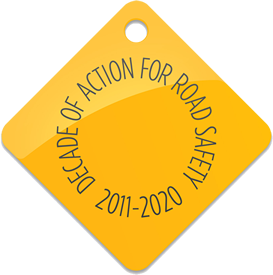 In 2009, the DfT commissioned research that explored motorcyclists’ attitudes to safety and their decisions which impact upon safety. The report identified the seven segments of rider, each with their own behavioural patterns and collision propensity rates. Groups of riders choose their own level of risk, consciously or otherwise. If there is a particular problem within a defined locality then in-depth analysis of police collision reports will identify specific collision involvement factors for the different rider groups. This facilitates the creation of appropriate interventions involving publicity, training or education, together with engineering and/or enforcement. Further investigation by someone skilled in riding may be valuable in supplementing the raw data available from police collision reports. This is a relatively straightforward task at a local level but will need greater effort to achieve on a regional or national basis. Teenage moped and scooter riders: The attitudes and behaviours exhibited by this group of riders can often be influenced by peer pressure or fashion trends. At-work riders eg fastfood delivery and couriers. Sports bikes – experience shows that it is extremely difficult to attract the attention of these riders.